It has been a dazzling summer for our brand. In August we were at the Teen Choice Awards and this past weekend we participated in the Emmys Gift Lounge. There are many more pictures to share. These are just a few of the images we shared live on twitter and Facebook. “These award shows celebrate creativity, imagination and artistic talent. These three qualities are in keeping with John Bead’s business philosophy and as such we are proud and energized to be a part of this event with our Dazzle-it and Metal Complex brands,” said Daniel John, John Bead Vice President. Thanh Tran made this wonderful bracelet to showcase a set of our new clasps. Here is a closer look at the new Dazzle-it hook and eye round clasp. They are available in silver, gold and gunmetal. 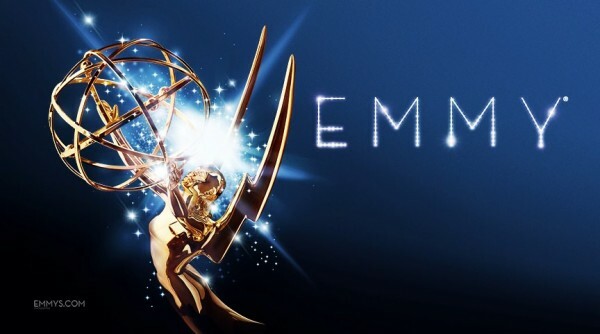 Dazzle-it Will Be Going to the Emmys in Hollywood! Last month we had the pleasure of showing you dozens of photos we took when John Bead and a select group of companies participated in the Gift Lounge at the Teen Choice Awards with the Craft and Hobby Association. We were part of a special group who hosted crafty make-n-takes for the celebrities. John Bead’s booth was a mini jewelers studio so that celebrities were able to customize a statement necklace featuring a gorgeous medallion. The jewelry components were from the Metal Complex Instant Glam™ By Fernando and Dazzle-it signature programs. Each piece was designed and hand assembled on the spot. Now we plan to travel back to Hollywood for a second big celebrity event: The Emmys. We’ll be posting more about this all month! Author Carmi CimicataPosted on September 6, 2013 Categories Dazzle-It News, Teen Choice Awards, The EmmysLeave a comment on Dazzle-it Will Be Going to the Emmys in Hollywood! Rounds are the NEW addition to our Dazzle-it Line. The round glass beads are available in three different sizes and in ten neon colours! Mix ‘N’ Match Ori Glass beads with Ori Crystals to create the perfect summer design! Author Carmi CimicataPosted on July 16, 2013 Categories Dazzle-It Beads, Dazzle-It News, Dazzle-it Ori CrystalsTags Ori Crystals2 Comments on New Ori Glass Beads! Erwin, our Corporate Account Manager and Sandra our bilingual Customer Service rep visited several Fabricville stores in Fredericton and Quebec City last week. Today’s post covers the Quebec City visit. Aren’t they beautiful? I wish this was my local fabric and craft store! Sandra has some super busy demonstration hours again. These customers seem to really enjoy watching a friend learn kumihimo on the square disk. Interest in jewelry making was just as great here as in Fredericton. Sandra also started a DIY pillow project at this store. The Dazzle-it hot fix applicator turns anything plain into something very special. I did see a little chalk mark. I was wondering how Sandra got the design so perfect. This was the perfect demonstration to show off the tool and crystals. It also helps when the demonstrator is so happy with her project! It was so great to see these Fabricville stores! Erwin , our Corporate Account Manager and Sandra our bilingual Customer Service rep are traveling home after visiting several Fabricville stores in Fredericton and Quebec City. Today’s post covers the Fredericton visit. So many of you speak to Sandra on the phone. Here she is in person! Her table and demonstration area is all set up…and let me just say, this was the calm before the storm. Sandra met with and demonstrated many different Dazzle-it products to Fabricville customers over two days. She also showed Fabricville staff some of the newer tools and techniques. Customers do have a lot to choose from in this store! Everything is beautifully arranged and showcased. The crowds got bigger and bigger. Soon it was two to three people deep. You can see that traditional sewers are indeed very interested in jewelry making techniques and products. It is so exciting to see the response! Here are a few shoppers reviewing their options after seeing the demonstrations. This pillow is very special. To see how Sandra made it sparkle visit the Dazzle-it Blog tomorrow! Author Carmi CimicataPosted on October 16, 2012 Categories Dazzle-It Kumihimo, Dazzle-It News, Dazzle-It StringingLeave a comment on Dazzle-it in Fredericton!